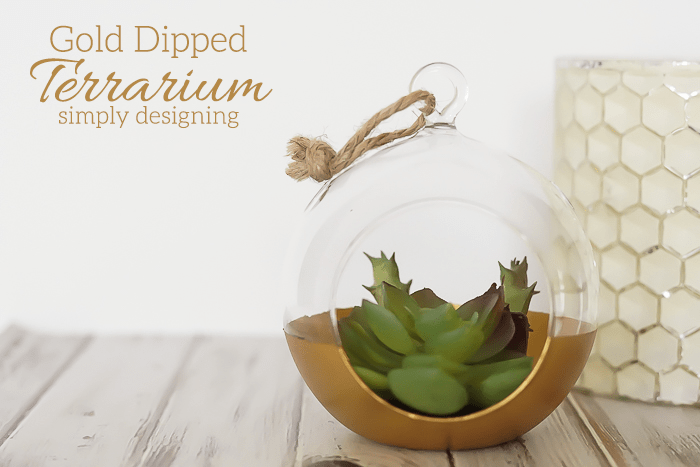 I am in love with succulents and I have been wanting a terrarium in my home for quite some time. 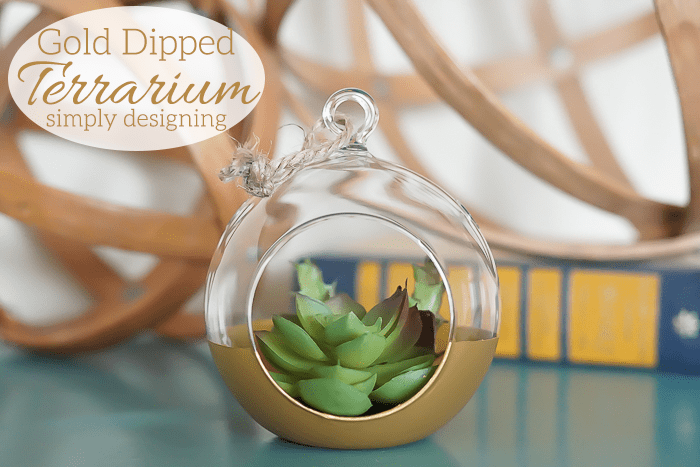 While I was at Michael’s the other day, I found the cutest miniature terrariums with faux succulents in them and I just thought they were adorable. 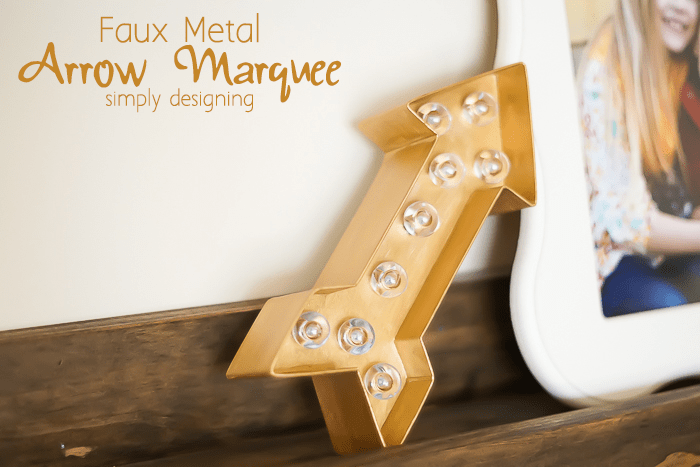 And I had the idea to take this cute little decoration and customize it with a little splash of gold! 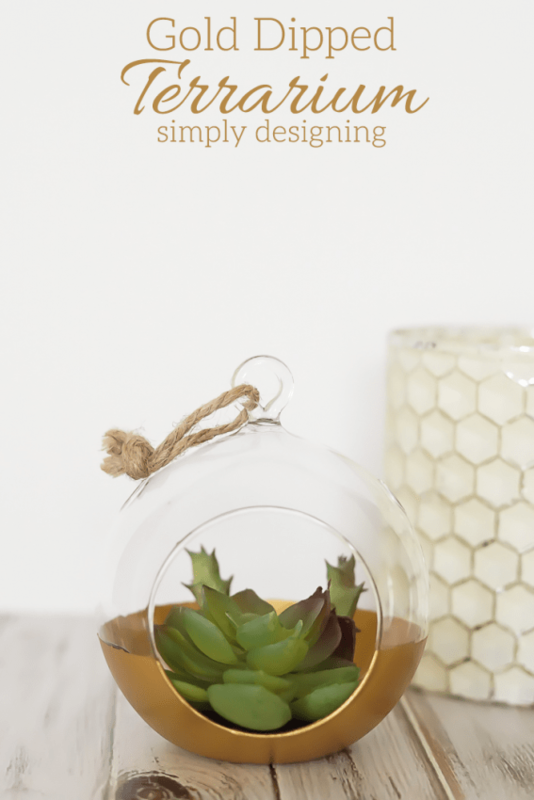 You can’t go wrong with gold right now and I love how this little crafty touch completely transforms this terrarium into something unique and really special. 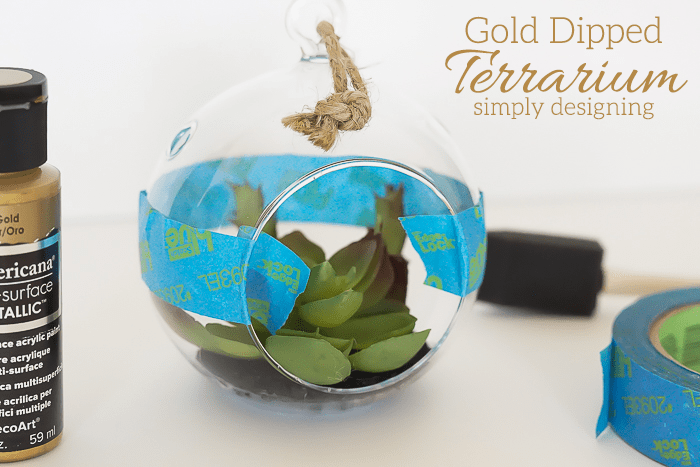 So read below to see how to make this really cute Gold Dipped Terrarium! 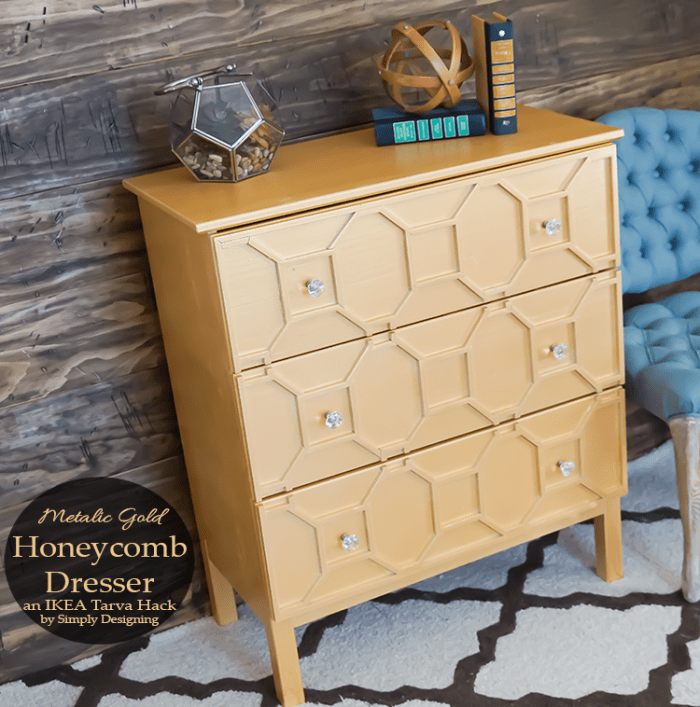 A big thanks to DecoArt for making this post possible today. I began by taping off the bottom portion of my terrarium with painters tape. Because it is a rounded surface, I had to stretch and play with the tape just a little bit to get a straight line. I rubbed it well to ensure that the tape had a good tight seal on the glass. You want to tight seal so that the paint can’t seep under it. 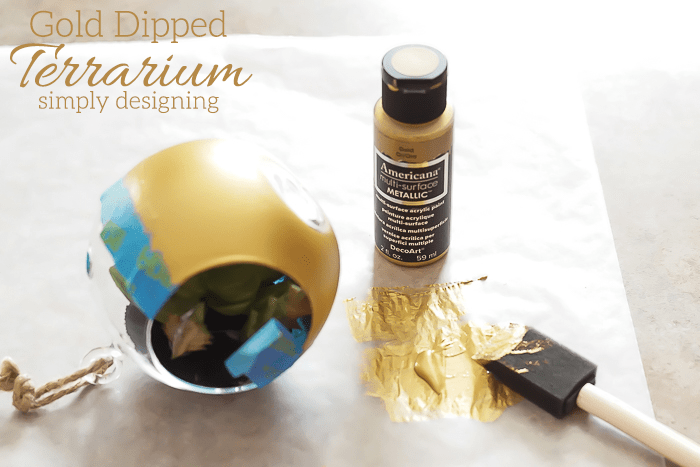 Then I painted the bottom portion of the terrarium gold using my foam brush. The multi surface paint really does work well on any surface! But on glass it will take about 3 coats to get good coverage. Be sure to let your paint dry completely between coats. After my last coat of paint had partially dried, I removed the painters tape and then let my paint dry completely. And that’s it! Isn’t that so simple!? And I love how it looks! I love how I took a fairly simple yet trendy item and turned it into something completely my own with a little bit of time and paint! This is so cute and lovely! I’m loving everything gold these days. I saw those succulents at Michaels too. I had to touch them to see if they were real or not. I figure I should buy a few because they are the only type of plant I can’t kill – fake. This is perfect! I seriously like this a lot (: You have an eye for design! So cute! It would be lovely having a bunch of these hanging in the window. 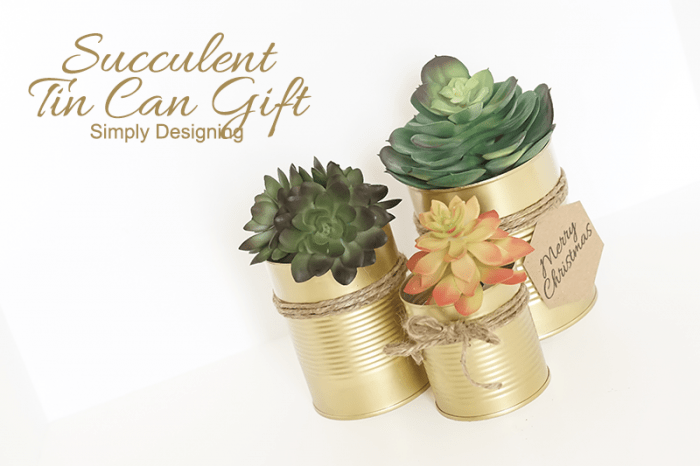 Very cute ways to display succulents! I absolutely love this idea. There is a gentleman that sells succulents at the Farmers Market in the spring. I will have to get some and try this. Love it! 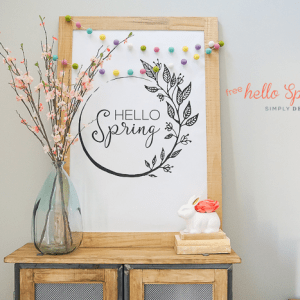 Thanks for sharing this great post at the This Is How We Roll Link Party. I can’t wait to see what you bring next week! I am sharing this on one of my social medias! Oh, I really love this! I don’t have plants because I can’t keep them alive, but my daughter loves succulents. 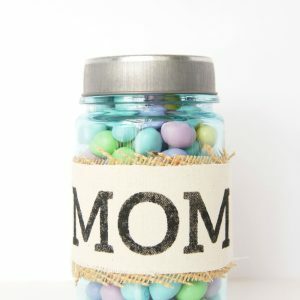 This would make a great gift for her! Thanks for linking up to tips and tricks! Hope to see you again this week. 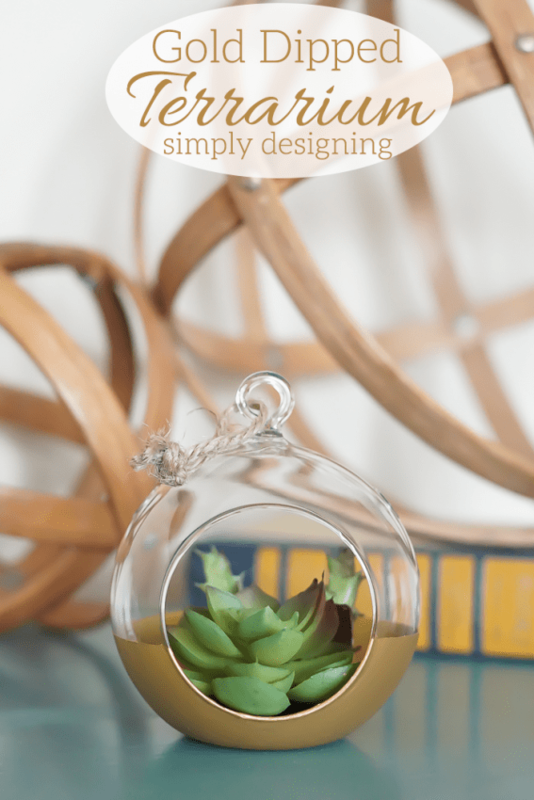 It looks beautiful but I have to ask, did you really paint it with the plant still inside? Did it just slide round when you painted the underneath? 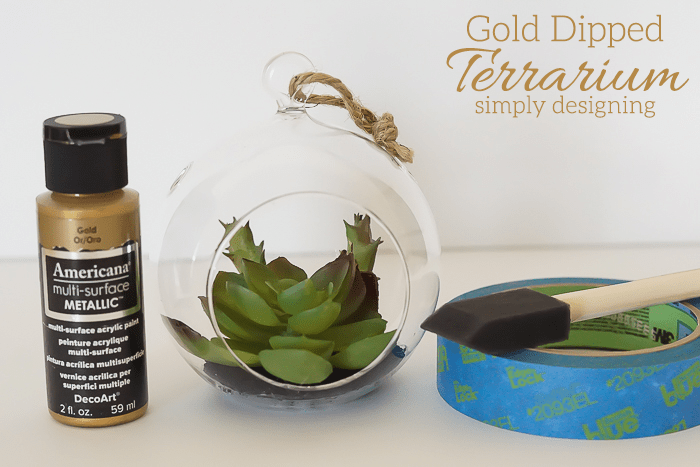 I can imagine me getting into all sorts of soil/gold paint mess if I wasn’t REALLY careful! I really did paint it with the plant inside! The plant is fake and it was glued to the bottom of the container. I just painted the outside of it and really didn’t get any paint on the inside of it! It wasn’t hard at all.